So far, the DCEU has taken a lot of flack the past few years for its bleak and dark tone. With the exception of Wonder Woman and this year’s Aquaman, the DCEU films have all been dark. So much so, that Deadpool made a reference to it in Deadpool 2. However, that criticism is about to change in the form of a 14-year old boy turning into a superhero. Of course, I’m talking about Shazam!. During the Warner Bros panel, the cast and director revealed for the very first time the trailer for the film. Needless to say, the trailer really delighted everyone at Hall H. Now, that Comic-Con trailer has gone public. Check it out! As you saw from the trailer, the film has such a light-hearted tone to it. It truly feels like a modern superhero version of Tom Hanks’ Big. Not to mention, Zachary Levi is the perfect person to play Shazam. Levi just has that inherent big kid mentality and enthusiasm that makes him perfect to play a 14-year old. Other than that, there isn’t much information about the villain or the story. Nevertheless, it’s nice to see some fun and humor in a DCEU film. 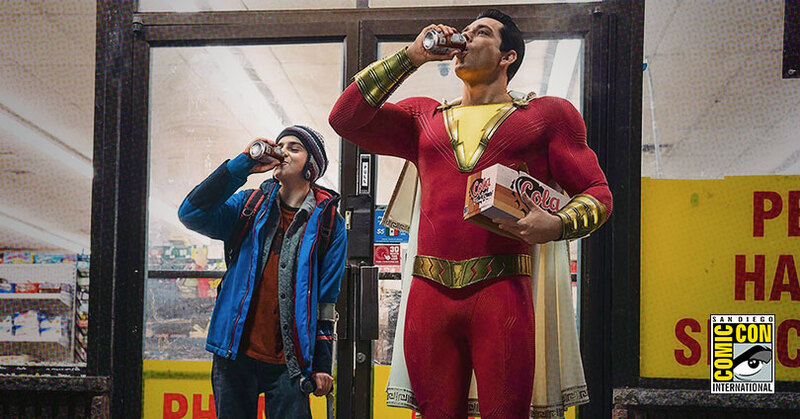 The post SDCC: Shazam trailer brings lightheartedness to the DCEU appeared first on Nerd Reactor.